I am a Ph.D. Candidate in the Department of Government at the University of Texas at Austin. I received my M.A. in Government from the University of Texas at Austin in 2017 and my B.S. in Political Science from Towson University in 2015. My research interests include the U.S. Congress, political parties, intraparty organizations, agenda setting, the policy process, and social network analysis. 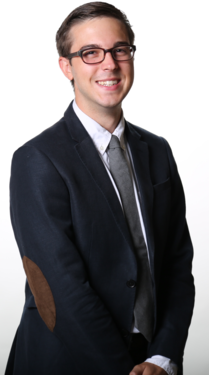 I am also a Graduate Research Fellow with the Policy Agendas Project, which actively maintains data series coded consistently for policy content to allow for comparisons over time. My current research focuses on the role of intraparty organizations, like the House Freedom Caucus or the New Democrat Coalition, in Congress. The central question that drives my work is simple, do intraparty organizations have systematic effects on the congressional agenda? To get at this question I collect and code the policy agendas of every intraparty organization from 1991-2018. I then utilize additional data about the size, resources, and procedural characteristcs of the groups to tease out why some are more effective than others. This project has been generously supported by the Dirksen Congressional Center, The Annette Strauss Institute For Civic Life, and The Texas Politics Project. My related research, showing the members of the House Freedom Caucus shifting their campaign resources to disproportionately support one another during the 2016 election, won the “Best Paper by a Graduate Student” Award for the Annual Meeting of the Midwest Political Science Association in 2017. Current projects, including working papers, can be found here. Requests for drafts of working papers are welcome. To request a draft, please feel free to email me. If you would like a copy of my CV, it can be found here. I am a PhD student in the Department of Government at the University of Texas at Austin. My research interests include the U.S. Congress, political parties, intraparty organizations, agenda setting, the policy process, and social network analysis.